1. 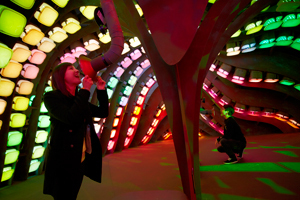 Visitors control the room’s dynamic lighting with the volume of their voice. 3. 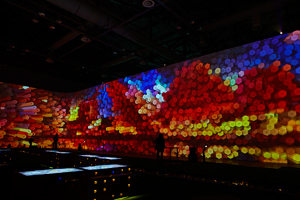 At almost 500 feet wide, the exhibit “Live Square” is one of the world’s largest interactive projections. 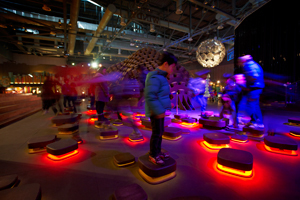 Visitors play art games and carry out avatar missions on it, once again earning points. 4. 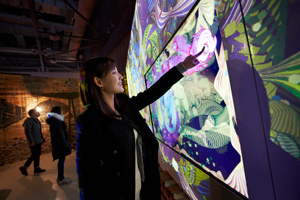 At the “Smile Mural,” a visitor grins to create an abstract painting on a giant touch screen. Participants can send their artwork to friends via SMS by typing phone numbers directly on the screen. 5. 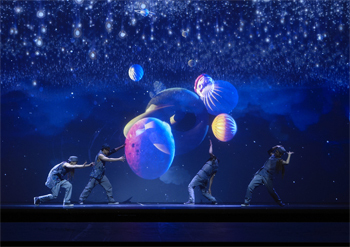 Visitors join actors onstage at the “Hologram Theater,” where everyone interacts with and manipulates fantastical holograms that are projected onto a blue screen.